Welcome to the Brain Warrior's Way podcast. We are back with our friend, Tom Bileyu. Hopefully you heard the first podcast. He is one of the co-founders of Quest Nutrition Bars, and his story is just amazing. Today we're going to be talking about how he killed his ANTs, his automatic negative thoughts, and how important that was in his life. You had a chance to actually meet Tom and have dinner with him? 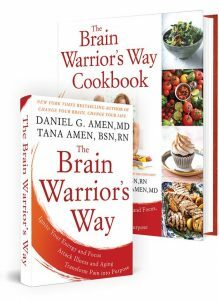 Dr. Daniel Amen:	I did, and it was so cool for me. In the last broadcast we talked about purpose and why, and he came up to me at dinner. We were both speaking together at the Success event in Dallas and he told me how important my work had been to him, especially about killing the ANTs. So welcome back. Let's talk about ANTs and how they can infect ... Invest people's lives. Tom Bileyu:	Yeah. So that ... The first book of yours that I got ahold of was Making a Good Brain Great, which by the way, that title was so enticing to me. I thought okay, I've got to read this. Diving into that book just really from beginning to end was incredibly powerful. It was at a point where I was really trying to understand the brain and understand how it was essentially manifesting my entire reality. As I began to realize just how important the brain is and the we're ... Really like our lives are a reflection of the health of our brain, and then getting to that concept of automatic negative thoughts, it was like that lightning bold moment where you realize my entire life is about that. I spent so much time in a negative dialogue with myself, but never really thought to immediately kill those thoughts. The problem is with automatic negative thoughts they feel real, like my brain wants to believe them. My brain wants to go yeah, yeah, yeah, this negative thing about you, this is really true, and because it's true you should indulge it. Those voices that ... That concept of all the things you are doing wrong, all the ways in which you're bad, all the ways in which you're not good enough ... It felt weird to try to silence that because it felt like then I was lying to myself and I wasn't accepting how bad I was and all the things that I was bad at. So you really gave me permission to go wait a second, this is counterproductive. Even if it is real, that's almost irrelevant. Is it moving you towards your goals or not? Is it actually helping you build a better life? Is it helping you lower your anxiety? Is it helping you be more optimistic and feel better about your life, to shake off any residue of depression or anything like that? For me, my real struggle was anxiety. I just found that the anxiety was building and building and building, and it was like I began to understand enough about neurons that fire together, wire together, to know the more I indulge this negative cycle, the more that I indulge in a vision of the future that hasn't happened yet by the way, but I'm painting it as if it were completely real and entirely negative, and it's making me really anxious. The more that I was doing that, the more concrete it was becoming, the bigger my anxiety response was becoming, the faster it was coming, and I just thought this concept of automatic negative thoughts is so critical, because if I can catch it early, if I can kill those, if I can get myself into a positive dialogue, imaging a positive future, that I can replace literally the neurological wiring that's creating this anxiety with something positive that makes me feel calm and makes me feel confident, then I could really begin to reverse this process. Tana Amen:	I love what you're saying. It is ... I'm also very anxious. I'm also ... Like I'm hardwired to be a little intense. I'm a neurosurgical ICU nurse and we're slightly intense people. 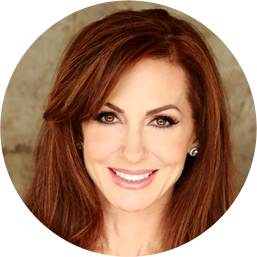 Dr. Daniel Amen:	Don't forget the red hair. Tana Amen:	Yeah. So it's just sort of in my DNA, but you've really helped me with that, I mean really helped me. When we first met, you helped me get the skillset of questioning my thoughts and going through the entire process, but I've also come up with ... It's actually a question I got from you, but I love it, and I planted it so deeply in my life ... It's sort of a shortcut, because I'm a really busy person. Now that I sort of have this skillset down and I've got this concept, I will ask myself this question when I'm really upset about something. I'll get upset really quickly and then it's like does this have eternal value? Somehow it just re-frames it for me. I've had cancer, so if it's not cancer, it's like really? Does it have eternal value? We came home from a vacation ... Because we were having construction done on our house, we walk in and they put the wrong floor in. I mean most people would flip out, right? I was upset for, I don't know, 20 minutes, 30 minutes, and then you just slip right into that does this have eternal value? What difference does it really make? It's going to get fixed. So what? I mean and I've done that with crashing my computer or whatever, but that shortcut of does it have eternal value? It's not cancer. My kid is healthy. You know what I mean? Like it's ... You just ... That shortcut of getting yourself there quickly, it's really helpful. Dr. Daniel Amen:	I've learned as a psychiatrist that most people are their own worst enemy. There's a Ziggy cartoon, we have met the enemy and he is us. Dr. Daniel Amen:	It comes often from an undisciplined mind where ... There's nowhere in school ... I mean I did take English 12 times to get through high school. I mean every year it's English and every year it's math, and I love Paul Simon's song Kodachrome, which starts, "When I think back on all the crap I learned in high school, it's a wonder that I can think at all." One of the most important skills is how to manage your mind, because whether you believe you evolved or you were made, it was an anxious time back then, when you had to worry about the tiger or the lions or whoever wanted to eat you. Tana Amen:	Most of it's not real, and we worry about things that really don't matter. Dr. Daniel Amen:	You need to discipline your mind like you discipline your body. I mean that's how you got those abs, is you disciplined what you ate, you disciplined how you exercised, and there are so few people that actually bring it to their mind to learn how to not believe every stupid thought you have, how when you feel sad, mad, nervous or out of control write down what you're thinking and just question it. Maybe it's true, maybe it's not, but just the act of writing it down helps to get it out of your head. The example I often give is if I get the thought Tana never listens to me, and I've had that thought, and then if I write it down I realize how stupid the thought is, because I mean maybe she's not listening to me today because she's distracted or something is going on with her daughter or they put the wrong floor in, but when I write words like always or never, every time, I'm not telling myself the truth. That's why I love the New Testament verse John 8:32, "Know the truth and the truth will set you free." The truth is sometimes she doesn't listen to me, and sometimes I don't listen to her because I'm busy. Tana Amen:	See, I like the turnaround. I love the opposite, when you turn it to its opposite. Oh, that person is so irritating. I'm irritating. That's true a lot. It just instantly sort of deflates that balloon. Dr. Daniel Amen:	Right, so there's a technology to killing the ANTs or to getting rid of the automatic negative thoughts. Write it down. See if you can identify what type of distortion. In Making a Good Brain Great or Change Your Brain, Change Your Life, I talk about there are 10 different types of ANTs. People with anxiety, like me, and Tana, probably with you, we're just masterful at fortunetelling ANTs, where we're predicting the worst and then we're making it worse. I tell ... The only people really predicting the worst are contract lawyers, right? I mean your contract lawyer should predict the worst and should protect you from that. But doing it moment by moment in your life triggers panic attacks. Tana Amen:	So I have a question. How important was this skillset in helping you in your success? I mean you're incredibly successful, so how important was that for you? Tom Bileyu:	Yeah, incredibly. I'll credit my success entirely to what I've been able to do with my brain. I'll often shorthand that to reading, but what I mean by that is really getting the knowledge that I need to go out and execute. At the end of the day, anybody's success comes down to the ability to execute. You have to at some point get out of like the thinking mode and really go do something. A big part of it for me was having to come to understand that I could learn anything I needed to learn, and that was a big deal for me. So instead of being I'm trapped by insecurity and you're never going to be good enough, you don't know this, you're not as good as them, all the things that the ANTs were telling me, I really had to get control of that so that I could put myself on a path to mastery. At the end of the day, you're only going to go as far as you believe you can go, and that was a huge breakthrough for me, to realize that the human animal leads with belief. If you believe you can do it, then you'll actually be able to do it for no other reason than you'll take the steps to actually acquire the skills, right? We are an adaptation machine. It is what humans do. We learn. We get better. We can go into a novel environment and figure it out, and we figure it out through trial and error. You don't walk in and just know or be great at it. Even Einstein wasn't born knowing physics. Maybe he was born with an unusual curiosity for physics. Maybe he could grasp it faster than other people, but at the same time he still had to go in and learn it. That is true for all of us, but most people don't believe that they can actually learn whatever that thing is. So getting control of my automatic negative thoughts, flipping it, realizing that I could learn anything that I put my mind to ... I was going to have to put the work in, but in doing that, then I became a skill acquisition machine, and that really is what my success rests on top of. 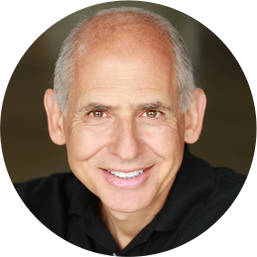 Dr. Daniel Amen:	Say more about that, a skill acquisition machine. I love that. Tom Bileyu:	People often say that what Darwin said was it's the survival of the fittest, but he didn't actually say that. It was somebody else that said it like a hundred years after his death. What he said was, "It isn't the strongest of the species that survive, nor the most intelligent, but rather the most adaptive to change." When I think about how humans become the apex predator, it really is because we are the most adaptive. There's no other animal that you'll find in as many regions on the planet. I mean there was a point at one point where James Cameron, the film director, was at the bottom of the Marianas Trench. So everywhere from the Arctic to the bottom of the ocean, it's literally crazy how we're able to adapt to our environment, create technologies, and that is the supreme human gift, is our ability to adapt. The problem is we can adapt to the negative, and that's where I think anxiety comes from. You become so obsessive and all the machinations of myelination kick in and you literally wire your brain to become anxious, to become prone to panic. You've trained your brain to do that. But the fact that we can take conscious control of those processes and through disciplined practice really force ourselves to go in an opposite and more productive direction is our great gift. I just don't think enough people really understand that you can acquire any skill you want if you're willing to put in the work. Now there are some people that they're going to get an early win in things that other people wouldn't. Some people don't struggle with something that somebody else will. That's just the nature of the beast, but it doesn't mean that you can't do it. It just means that you may have to work a little harder than the person next to you on that particular skill, but you can acquire them. Tana Amen:	Yeah. My friend, Jacob, has cerebral palsy. I love using him as an example. He has cerebral palsy, slurred speech, a very difficult time verbalizing. He's in a wheelchair with spasticity, and he's getting his black belt. So whenever someone tells me they can't do something, I just ... I think of Jacob and I like to show Jacob's picture. I'm like, "Tell me again why you can't do it, because I'm having a hard time understanding." It's pretty amazing. Dr. Daniel Amen:	So the ANTs really limit us from having great relationships, from being successful at work, even from managing our health. I think people who struggle to lose weight or overcome their health challenges, it's often because of the limiting belief they have, along with some particularly toxic thoughts, like everything in moderation, which I often say is the gateway thought to hell. It's generally your excuse to do the wrong thing that will hurt yourself. This is so important. When we come back we are going to talk about mindset. I mean we're really talking about mindset now, but we're really going to explore it, and how mindset can change your life and your business. Stay with us.